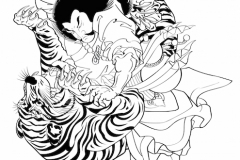 The Traditional Japanese Tattoos known as “Irezumi” are the decoration of the body with mythical beasts, flowers, leafs, and other images from stories, myths and tales. 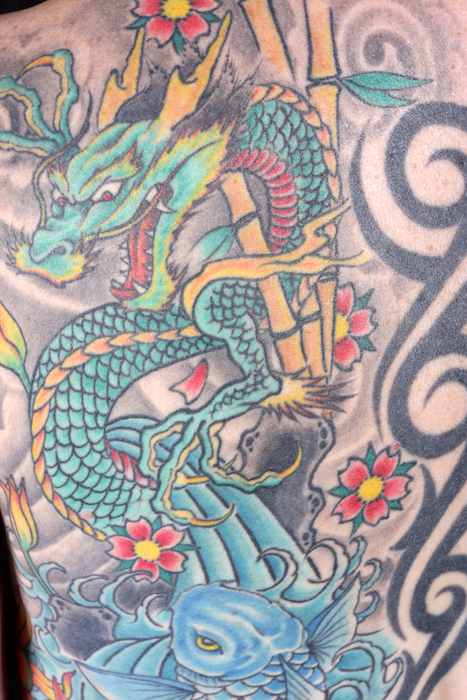 Until the Edo period in Japan (1600–1868), tattoos world wide were done with marks and symbolism rather than imagery. It was in Japan, in the Edo period, that “decorative” tattoos began to develop into the advanced art forms they are known as today. The impetus for the development of the art was the progression of the art of woodblock prints. Woodblock artists began tattooing, using many of the same tools for tattooing as they did to create their woodblock prints, including chisels, gouges and, most importantly, unique ink known as Nara ink, or Nara black, the ink that famously turns blue-green under the skin, which is the true look of the tattoo. Traditionally Japanese tattoos were a means of conveying societal status, served as spiritual symbols that were often used as a form of charm for protection, and as symbols of devotion. Over time, tattoos in Japanese culture developed as a form of punishment similar to what was seen in Rome where it was common practice to tattoo prisoners of war, criminals, and slaves as a means of making their status in society instantly recognizable. Eventually the practice faded and tattoos once again became common with regular people. 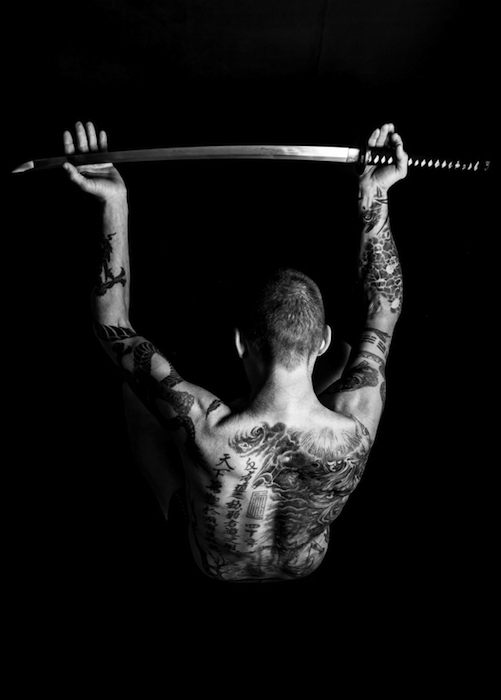 Wearing Irezumi is an “Aspiration” to life’s goals. Typical symbols include dragons, tigers, koi, water, cherry blossoms, phoenix, snakes, Fu dogs, Oni masks and more. 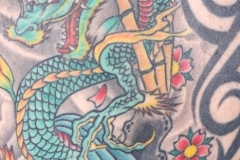 In Japanese traditional tattoo art, dragons are generous, benevolent forces that use their strength to do good for mankind. Wisdom is another trait attributed to dragons. 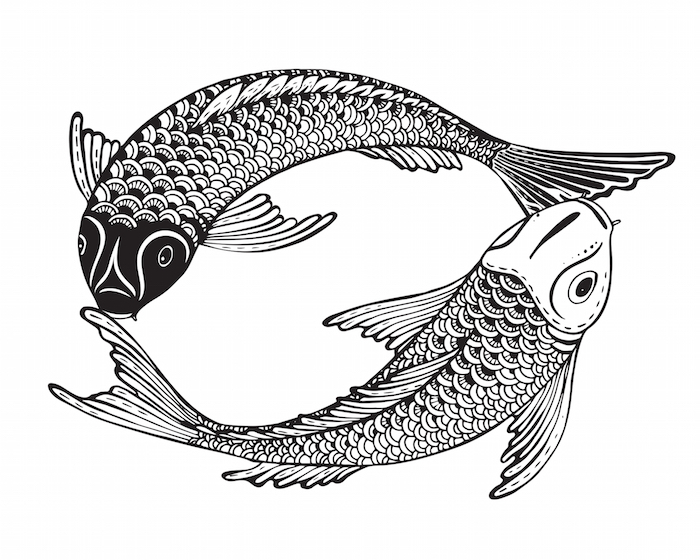 Koi symbolize masculine qualities in traditional Eastern folklore such as strength and bravery. The Koi in China were known to attempt to swim upstream in the Yellow River, and very few could swim past a point known as the “Dragon’s Gate”. Koi who made it past the Dragons Gate were said to be rewarded by turning into dragons. 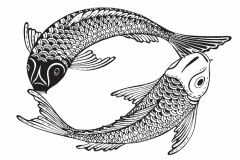 For this reason, Koi symbolize strength, bravery, determination and a strong desire to succeed. The phoenix story exists almost all cultures. The Japanese phoenix story draws its source from a story that originates in main land China. Regardless of its origin, phoenix tattoos symbolize rebirth and triumph, as well a renewal and rebuilding of one’s self. The Japanese tiger tattoo carries with it the same traits we attribute to the real animal: strength and courage. 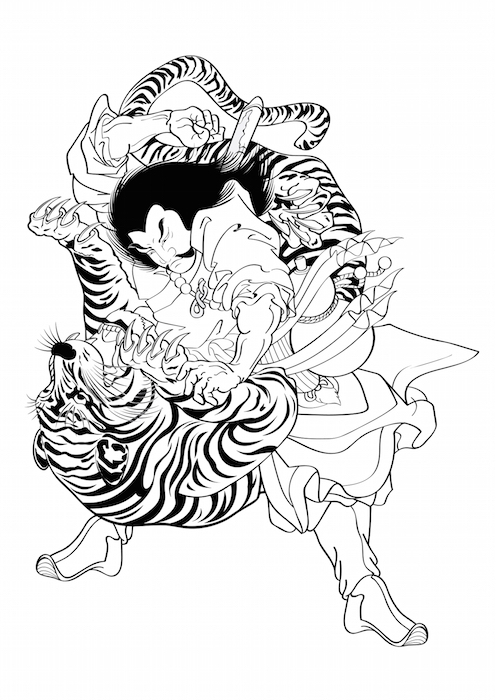 The tiger tattoo is also used to ward off evil spirits, bad luck, and disease. The tiger is a symbol for both the North and for autumn. They are said to control the wind, and they are one of the four sacred animals. Fu Dogs are said to be protective, strong, and courageous. As statues they serve to keep evil out. 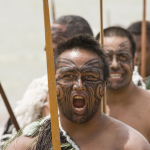 As tattoos they serve as protectors and often indicate a courageous person with heroic aspirations. Snake tattoos are attributed to protection from illness, disaster, and bad fortune. Snake tattoos also represent wisdom and protection, particularly from the results of bad decisions. The snake can also embody regeneration, healing, and medicine as it was revered in Japanese culture in association with medicinal rites and remedies. As a symbol of good luck, it was also though to bring good health. Though the image of the human skull in much of tattoo culture and art in general has come to have a negative connotation (such as death, danger, and an ill fate), the skull used in Japanese tattoos was intended to be a positive representation of the natural life cycle. Traditionally, the Japanese skull tattoo represents change, of which death is the greatest change man can experience. The Oni Mask tattoo is extremely common and refers to the belief in a spirit world in which demons carry out their roles of punishing the unjust and evil, as well as spreading disease. 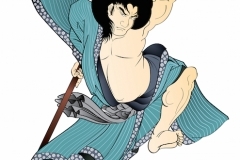 While Oni are known for being evil, some Oni are good and are seen as protectors. 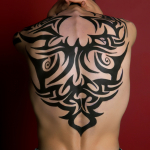 From the wealthy ruling class to the Samurai class to the working merchant class to prisoners and Yakuza (Japanese Mafia), throughout history the people who have worn this style of tattoos have changed significantly. Today many people are attracted to Japanese tattoos for their beautiful artistry and their rich history of symbolic meanings. 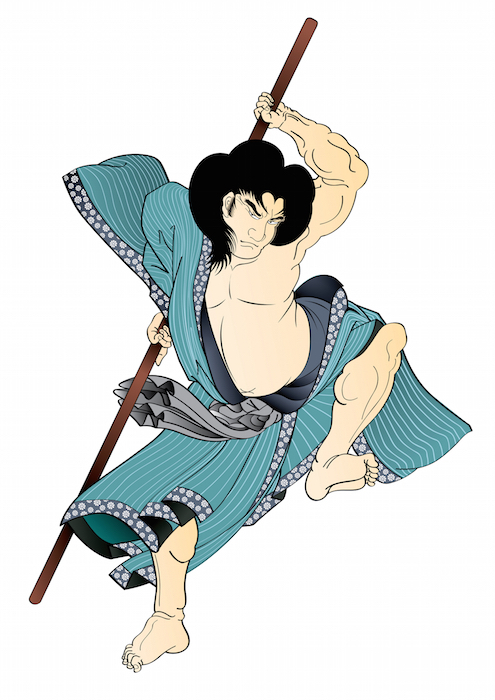 As a black belt level Japanese martial artist, the symbols and images of Japanese culture have had a strong influence on me. As an artist as well, I also deeply appreciate the artistry of this style. This combination makes the Japanese style of tattoos very appealing. Layer on top of that the rich history of symbolic meaning and you have a style of tattooing that must be considered when contemplating a tattoo.